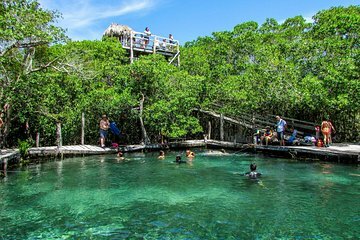 Take relaxing break from the bustling mainland on a day tour to Holbox Island from Playa del Carmen, and discover the island’s diverse ecosystem and scenic coastline. Look out for diverse species including whales, flamingos, and pelicans, and optimize your chances of seeing rare wildlife with insights provided by your guide. Enjoy a complimentary light breakfast and beach-side lunch, as well as included round-trip transfer from your hotel.